THE SCENE: A breezy Sunday evening in spring. Dinner is over and Mommy is cleaning up the kitchen. Hot Dog Boy, the nine-year-old son, enters the kitchen. Fresh from the shower, he's wearing green pajamas and carrying his toothbrush. Mommy, you know those lemon bars you make sometimes? Those are my favorites and we haven't had them in a really long time. When are you going to make them again? [Heart melting but trying to play it straight]: I don't know, honey. We'll see. EARLY THE NEXT MORNING: Hot Dog Boy emerges from his bedroom wearing his school uniform and rubbing his eyes. He shuffles into the kitchen. Good morning, sweetie. I've got a surprise for you - look on the counter. Can I have three for breakfast? This is the easiest lemon bar recipe I've found, and it gets rave reviews every time. Chill the pan at least a few hours before cutting. Preheat the oven to 350 degrees. Spray a 9x9-inch pan with baking spray, then line the pan with aluminum foil (this will make it easier to remove the lemon bars in one piece so you can cut them properly on a cutting board). Spray the aluminum foil with baking spray as well.In a bowl, mix together 1 cup of the flour, 1/2 cup of the powdered sugar, the melted butter, and the salt with a fork until a crumbly dough forms. Press the dough into the prepared pan so it covers the bottom and goes about 1/2 inch up the sides. Bake the crust about 15 minutes or until it just starts to turn golden. While the crust is baking, whisk together the remaining 1/8 cup flour, eggs, granulated sugar, baking powder and lemon juice. (I always put the baking powder through a little strainer to be sure the lumps are gone.) Pull the crust out of the oven, pour over the lemon mixture, and return the pan to the oven for another 30 minutes, or until the center no longer jiggles when you shake the pan.Cool the lemon bars in the pan for half an hour, then refrigerate at least two hours before cutting. This will help you get nice, even edges - and believe me, rushing the process ensures a mess. Cut with a large knife into 9 even squares, like a tic-tac-toe board. 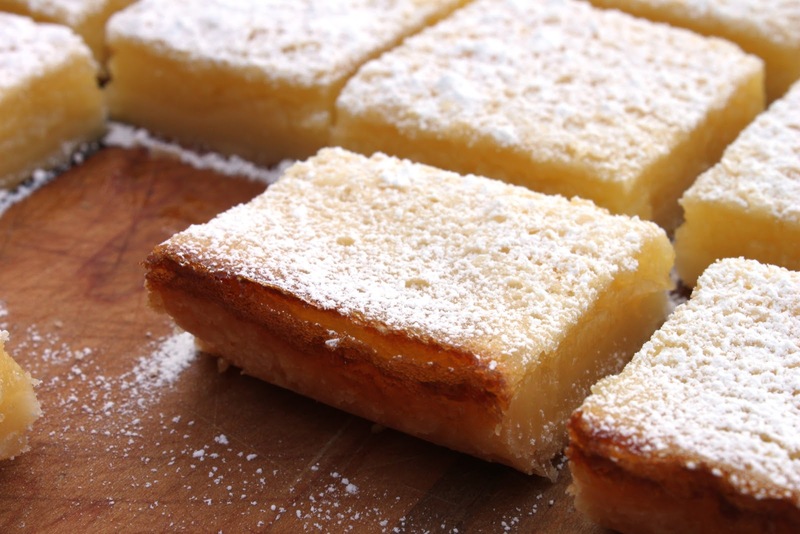 Dust the lemon bars with the remaining 2 Tbsp powdered sugar before serving. I have a whole bag of fresh lemons and I've been looking for a lemon bar recipe like my Mom used to make - thank you! Wonderful meeting you at Camp Blogaway! These look, and sound deliciously light and lemony! Yum....perfect for a warm spring day. Lemon bars for breakfast? My kind of kid! @AverageBetty aka Corn Dog Girl: Great meeting you too. I am trying to decide whether I should be Green Garlic Girl (I like the alliteration) or Truffle Girl (for obvious reasons, as you'll see if you look at the posts under the "truffles" tag). @Jenn and Alison - thanks! Hi Erika, these look amazing, my eldest daughter will do anything for a good lemon bar - so I'm going to make these!! Do you have a follower widget or should I just sign up to facebook? @Renne and Sonya - you're welcome! Sonya, I'm so glad you liked them. @Inside - you can subscribe to my blog by email or in your reader in the "Stay in touch" section above right. And I'd love to have you on Facebook, too! I do update my Facebook page every time I post a new recipe, so that's a good way to keep track. Wonderful to meet you! i made these today and added an extra egg along with the zest from one lemon because lemony things are never lemony enough for me. it came out stellar! Lisa, that's great! Did you add the whole egg, or just the yolk? And I agree about the lemon zest...I just don't like the stringiness of it in these lemon bars. But maybe if I did the filling in the food processor that wouldn't be an issue. Yummy!these sound looks so delicious,i like it. Thanks for sharing superb post. Jill, I'm sure the crust would be fine with margarine. As for the lemon curd topping with egg replacer...not sure. Please do come back and tell us how it went, though. 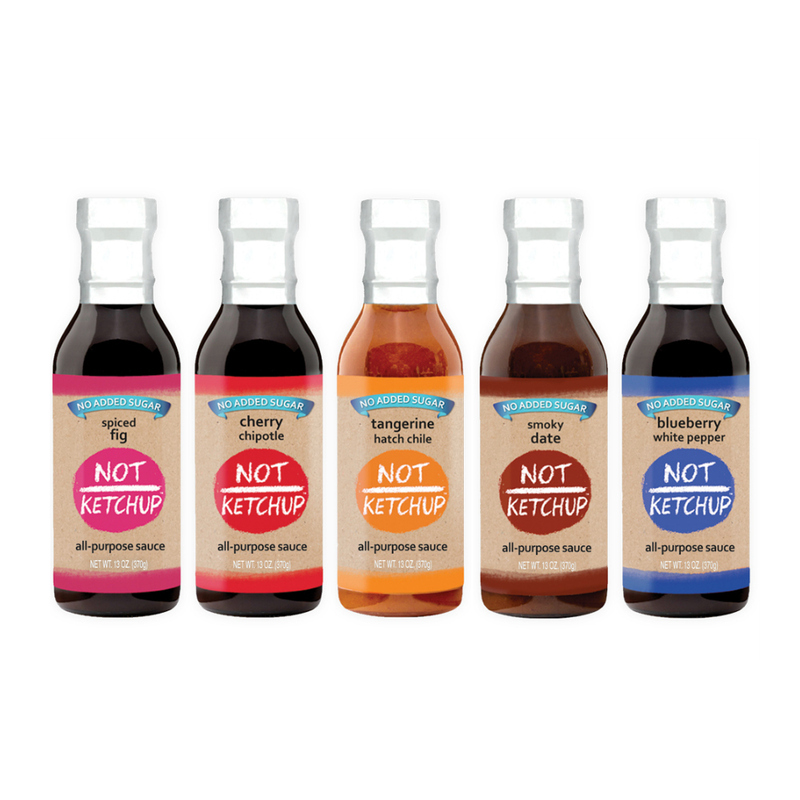 I tried them - wonderful!! @Anonymous - now that's what I love to hear. Thanks for letting me know. Big smile on my face right now. This really is the best recipe for lemon bars they are a hit every time is make them and family members are always begging me to make them. Simple and delicious thank you! @Unknown you made my day - thanks for letting me know how much your family likes them! Just made this and the top became a creme brûlée by accident, I think. @Anon - was that a bad thing? Should it be creme brûlée like? Mine also came out that way. Did I wisk the egg mixture to much? @Jess - are you saying the lemon curd part was very loose? Did you refrigerate it for a few hours before cutting? It will definitely be runny unless it's cold. I made it and they look so good.